Ok, first I stole this post idea from Aussa, who stole it from Samara, Beth and Angelle and it seems Daile was involved in it somehow with her post on 36 men she wanted to sleep with. Anyway, I blame Aussa, because well I can! Ha-ha. I love Aussa and all the other talented ladies I mentioned. So it’s all good. Plus, I wanted to write a post today and had no idea what to write about, so Aussa actually came to my rescue. Thanks! 1. Thunderstorms – I just love thunderstorms, the more violent the better. It must be all that barometric pressure stuff in the air, because it can be quite a turn on. Yeah, I know……. TMI ha-ha! 2. Books – Of course, some people would not see this as irrational, but some would. I love books, the feel, the smell, the colors. I could live in a bookstore quite easily. 3. 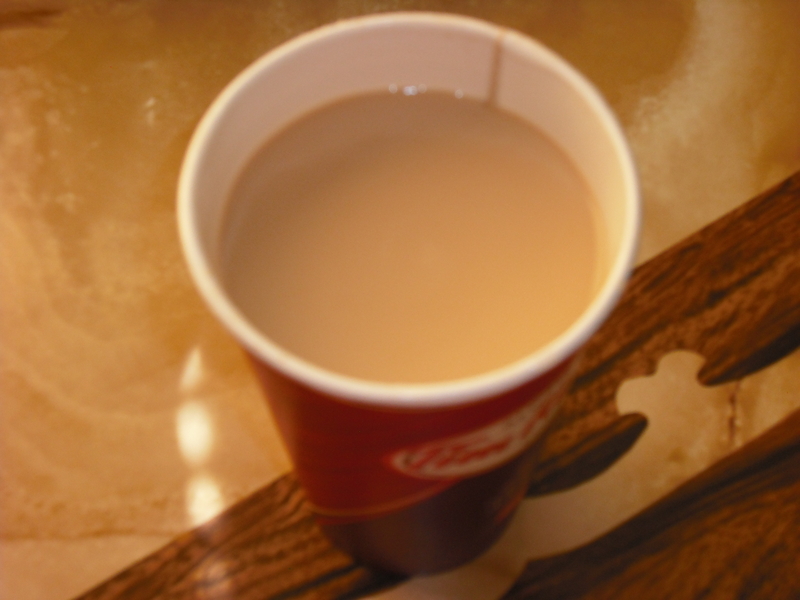 Coffee – Ah, coffee! I love me some coffee. Mornings, afternoons, evenings. It makes no difference when I drink it. If I could bath in it, I would. It’s just that good. 4. Wildlife – All kinds of wildlife. Not in a zoo either, I’m talking the real deal. 5. Little boxes – Weird, right? I just love little boxes. I have no idea where this love came from, but its real. If I see a little empty box I must have it. I use them to store things in, or just have around. 6. The smell of lemons – I just love it. If I could walk around smelling like a lemon I would. I haven’t found any perfume or body spray that lasts long enough in lemon. All though I have found some pretty good body spray by Secret that uses lemon grass. Ahhh, smells so good. 7. Words – Words are such powerful and versatile things. They make you feel a range of emotions like nothing else. Big words, little words, arcane words. I don’t care. I love words. 8. Rain – Not the kind in thunderstorms, all though that can be awesome. I’m talking softly falling rain on a spring day. Refreshing, calming, renewing, and oh so soothing. 9. Music – Music really does feed the soul. Like words, it can be so many things. It can bring back memories. Good or bad. It can bring me to tears, laughter. Get me on my feet dancing or just lets me relax. Music is as necessary to living as breathing. 10. Wolves – the real deal. There is something about wolves that just draws me to them. Their beauty, their intelligence, the way they take care of each other in the pack. 11. The call of a loon – I love the haunting call of the loon. I have heard them at dawn, across a lake, shrouded in fog. Their call tugs at my soul. There is nothing like the long soulful cry of a loon. If you hear one, you will never forget it. 12. Someone playing with my hair. – Yeah I love this. It can be relaxing or a turn on, depending on who is playing with it. But to have my hair touched, or fingers ran through it just does it for me, what can I say? 13. Accents – Peoples accents. I love them all. It is so interesting to hear someone talking with an accent, be it a Southern one, English, Australian, whatever. I love them. 14. Purple – The color purple can draw me like a moth to a flame. I don’t know what it is about this color, but I love it. 15. Snapple Diet Tea – Oh yum! I love this ice-cold, winter or summer. It’s just so good! 16. Quiet – I love quiet times, nothing playing, no tv, no radio, nothing but me and my thoughts. It doesn’t happen often but when it does I’m in heaven. 17. 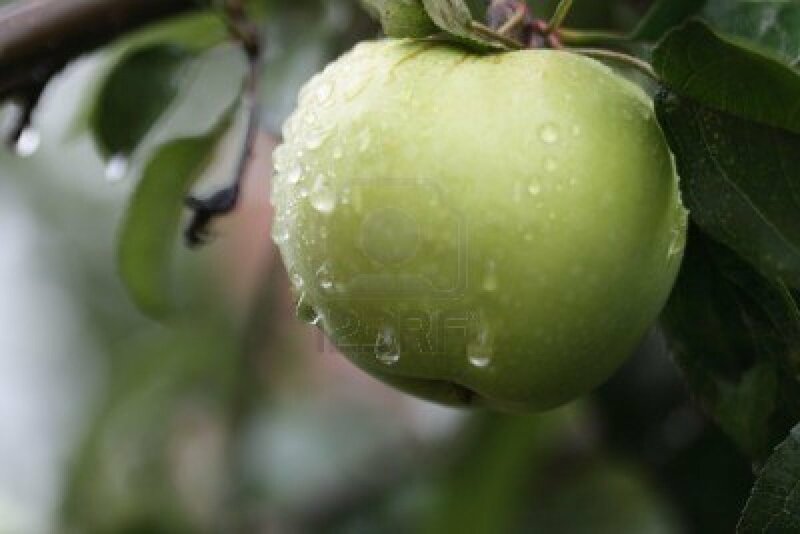 Green apples – I love the taste and I love the smell. 18. The sound of a sprinkler. You know the kind, the ones that go back and forth. 19. Trees – I love trees. I’m a natural-born tree hugger. 21. Vanilla – Give me some vanilla beans and I’m all over it! I could rub it all over my body and be a happy camper. Oh my gosh! If you were here, I’d totally do a high five! This list was fabulous! And we also have a lot in common (I said the same on Aussa’s post, a lot in common as well). I adore purple and whenever i see something small, whether it are boxes, cookie cutters, little pots and pans,I always yell “Oh mi goshsss look how cute!!!”. I refrain myself from getting them though haha. Don’t get me started on vanilla! I have a website that sells lots of vanilla beans in many varieties. It’s one of my goals to buy a few types of vanilla just to experiment with. The thought alone makes me super happy haha. I hope to have my own 21 things up tomorrow!! oh high five!! I can’t wait to read yours tomorrow. I’ll be on the lookout for it. Barging in to say I can’t wait to see your list TJ! it’s not barging! lol and I can’t either. Oh, accents! That’s a great one. I pick up accents very easily if I’m talking to someone with one. I lived in Texas for a number of years and sounded Texan. Now I”m in Canada so it’s a combo of midwestern/Texan/Canadian. Strange but fun to watch people figure out where I’m from. I am with you on everything except 3 and 15. Great list! I can’t figure out how to get the heart circle for my facebook etc on there. So I’m still playing with it. I liked the other one but began to think it was to busy. If it’s like mine, you have to set up a separate “social media” menu, but it isn’t as difficult as it sounds (to me at least…which means anyone can do it). ah, ok! I’ll look into that. Thanks! From one thunderstorm fan to another, you’ve just inspired me to do my own 21 post. Yay! I’ll make sure I read it when it’s up. Done. Feel free to read at your leisure. I love most of those things too. I love your list and agree with almost everything, except for coffee and vanilla. Yes, lemon and thunderstorms! And most of the others on your list. I’ll just let you do the thinking for both of us! I like your new look. Thank you! We have great taste Sammy! I like this look better I think. Clean and uncluttered. I have seen you make references to tree hugging before, must be a good thing. I found your list intriguing to say the least……thunderstorms not a great fan, apart from the rain love that bit…..I love books too, apples but the red variety, coffee, no, lemons yes, I have a small tree growing in my yard, we don’t wolves, but we do have other interesting animals, platypus have always interested me as I have wonder their evolution, accents I like also, and I don’t have any hair so not much joy there. I like your list good post Jackie. tree hugging is a great thing! no wolves in Australia huh? You’re loss I’m afraid. I always thought the platypus was so interesting. Thanks for reading Michael! Uh oh, may still follow your blog if I admit that we don’t share the same loves At All? But I still enjoy your writing. I’m am SO enjoying these lists! You had some on here that made me go, aaahhhhhhh. I kept my list of loves to 10, so I didn’t get to think too hard about it, but YES to accents, and coffee, and quiet…..and I never, ever would thought of the sprinkler sound, but ohmy when I read it I could just hear it and it was very reminiscent and soothing. Windshield wipers going back and forth is soothing to me too. Aren’t they great! I’ve read so many and they are so good. Everyone has such a fascinating list. well at least you picked some awesome men! You had me with the first three. I love thunderstorms! And here’s one for ya…I love being drenched by rain. It’s so cleansing….followed by a bunch of coffee laced with vanilla and a slice of lemon meringue pie. Seriously that would be a perfect moment in time. But no wolves…sorry. The sound spooks me. I can handle a lot of Vanilla. What you said about thunderstorms though… YES. Seriously. and I always tend to end my relationships in February so I’ve missed out for way too many years. But hey– storm season is coming. (someone is going to come along and say the obvious response to that last sentence, I can feel it). I am sure someone will come along and finish that LOL so I won’t, good hostess that I am. Vanilla does put one in a dreamy state. Thanks. OOOH… accents… that’s a good one, darling. Love accents. Looks like we could all be quite satisfied with a thunderstorm, a good book, and a cup of coffee. New look again 🙂 Nice! I like your list, but ice tea and boxes are not for me. Now I also understand Sam’s love of boxes – he got it from you ! Amazing how many things we have in common. Thunderstorms, books, purple, wild animals, vanilla are the things I remember but I believe there are many more. Oh yea the little boxes, my mom gave me a little empty box wrapped in red paper with a bow and said inside this box is all the love I have for you. The box of course was empty and never to be opened. I don’t know what happen to the box but I think my obsession came from that. Just shows we are two women who have great taste! See that’s why we get along so well Kim, we like so many things the same. Little boxes are great. I have no idea where my love of them comes from, but I remember even as a young child I loved little boxes. I think I did read Laura’s list. I love lemon stuff, I’m surprised I”m not yellow like one. lol….thank you again. thank you Lizzi! I believe her lemon stuff comes from Avon. but thank you for trying to find out. That was really nice. We have so much overlap on things we love, that I have subscribed for sheer love of your loves. For starters: Trees!! How I adore plant life, but notably trees. Their underwater counterparts as well, varieties of kelp. Lemon-grass is an excellent alternative since it’s pretty close, but it doesn’t have any of the photosensitizing problems. This month I've picked up: Grok, trifecta, hectoring, loganamnosis,pursuant, chuntering, interoceptive, supercilious, parsing, assiduous, and the phrases: L’appel du Vide and de rigueur. Thank you so much for stopping in and following! I truly appreciate it. I will be by your blog soon. Yes citrus is not good for the skin, so lemon grass will have to do. No wonder I felt we were kindred spirits…I loved so many things from your lists! I don’t there was a thing I didn’t like. But words, and purple and coffee are my tops! You inspired me to write my own list. By the way, I love, love, love, your blog title. It’s an “action” title…and a call to adventure. Thank you so much! It’s always fun to find someone who loves the same things. Yay for lists! Let me know when you do and I will be there to read it. 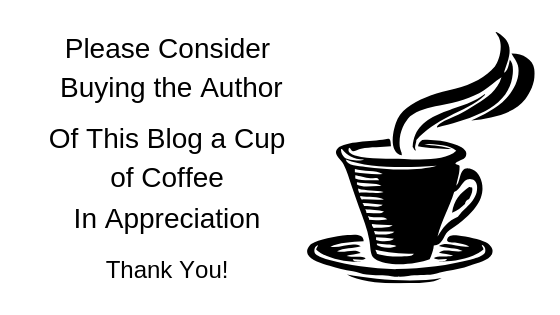 Thanks about the blog title, it called to me, and so I answered. It is an adventure!